The City of Detroit is recommending residents stay indoors Friday due to possible odor emission during Marathon repair work. 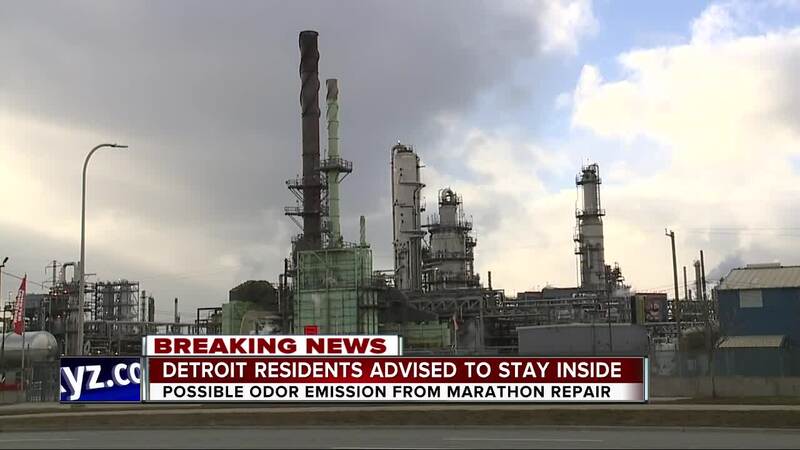 On Feb. 3, people across metro Detroit smelled a gas odor that was permeating from a Marathon Petroleum refinery. The odor was caused by a flare at the refinery that was not properly functioning. Marathon officials said they plan to begin repairs to the malfunctioning flare Friday afternoon.